I’m Katie, the Founder and Creative Director at Kids Kan Dance. 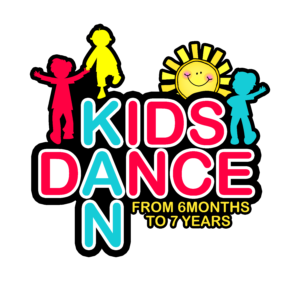 Kids Kan Dance was born whilst I was on maternity leave after having my daughter, who has now just turned one. I first started teaching dance 17 years ago at the dance school I trained at, since then I have taught in so many places and met so many amazing children. Dance has been a huge part of my life since the age of 2 and I have always wanted to share this experience with as many children as possible, so when I had my daughter I knew it was the right time start something I had always wanted to do. I wanted to create a dance concept that would enable children to explore all styles of dance and to use their imaginations in creative movement. My vision is to teach children that there is a whole world of dance out there and to help them to find the styles that they love. I knew that this was going to be an amazing journey, and hard work setting up a business with a new baby on board ! But, things have gone brilliantly and within 12 weeks of opening all my classes were fully booked. I am now starting new classes ready to open after the February half term. KKD classes are specifically designed for the younger dancer. We offer a wide range of classes for all age groups so children will always be learning at the right level. We believe that children should learn all styles of dance in a fun, exciting and educational environment. Each week our classes cover a new theme such as animals or numbers for the younger children and musical theatre or jumps and leaps for the older children. Our dance with mummy programme offers the chance for parents and children to really get to know their dance teacher, their style of teaching and what goes on during class together. Our 4 Fun programme helps children learn about all the different styles of dance so they can, together with their parent, make an informed choice about which styles they would like to continue with. Once children are ready they will then be invited to join our speciality classes at the K Dance Academy.